Back in October I wrote a post about a viral video I had created for Alpha Software, one of my contracting clients. On the eve of The Superbowl (the ultimate launching pad for commercial video), I thought I would check back on the results. The original Dog Tease video which inspired it now has 92 million views, so 42k views may not sound like much by comparison. But Alpha’s market is niche, so it is not realistic that their video would garner huge numbers like that. Alpha is actually quite prolific at posting videos on their YouTube channel. But the 42k views for the Dog Tease video is almost 7x more than the next most popular video on Alpha’s YouTube channel. 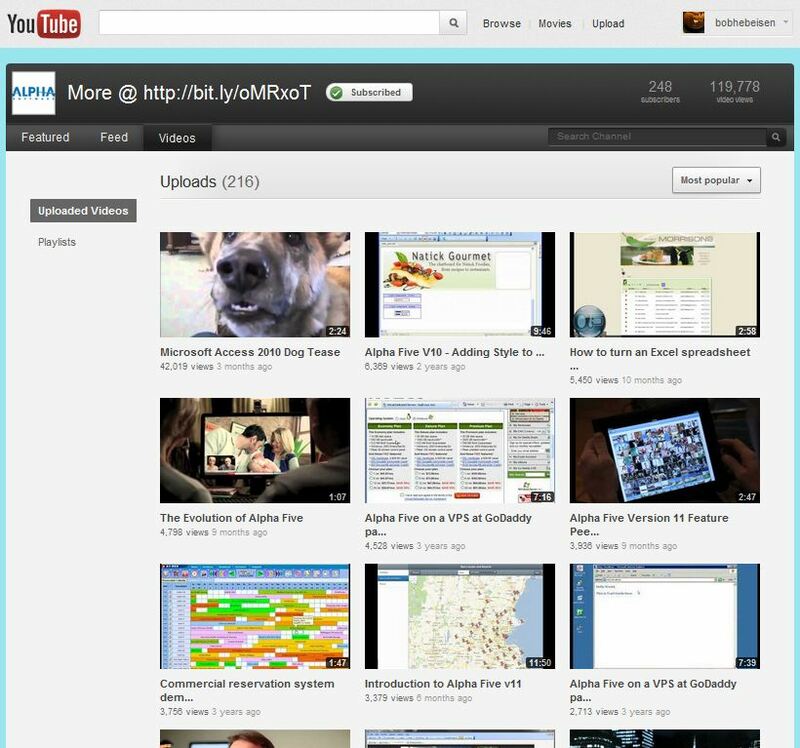 The video with the next most views is one that was posted 2 years ago, while the Dog Tease video was posted only 3 months ago. You can see from the YouTube metrics charts that the viewership exploded during the month of December. This is where the meme strategy really paid off because a massive amount of viral referrals came from other talking animal videos. The whole purpose of the video was to point out Alpha Five’s superiority over Microsoft Access for creating Web applications. So I carefully chose the meta tags and keywords for the video, and that’s why I entitled the video “Microsoft Access 2010 Dog Tease” (instead of “Alpha Five Dog Tease”). 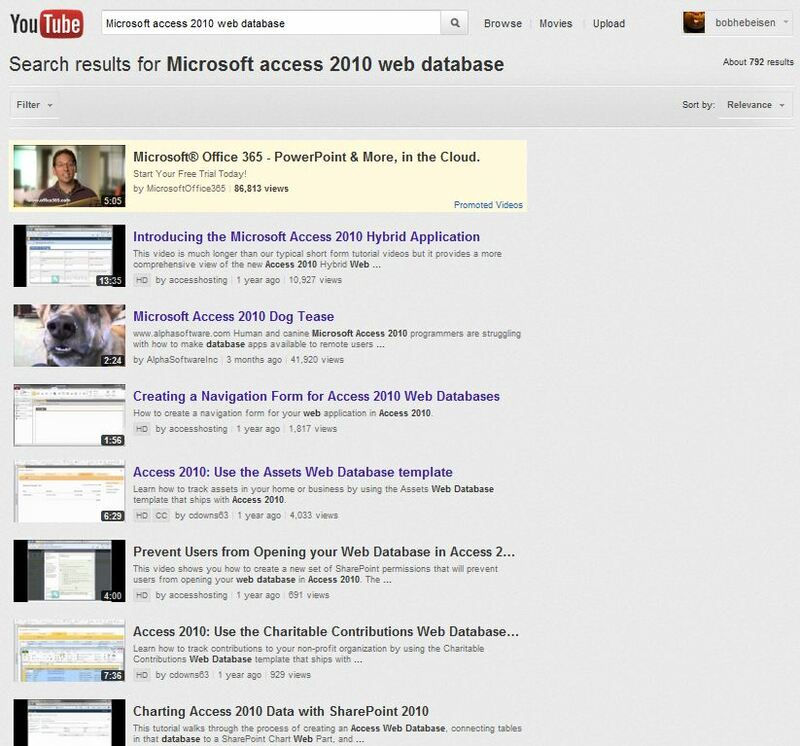 As a result, for example, when you search YouTube for “Microsoft Access 2010 Web database” the dog tease video shows up as the second organic video in the search results. 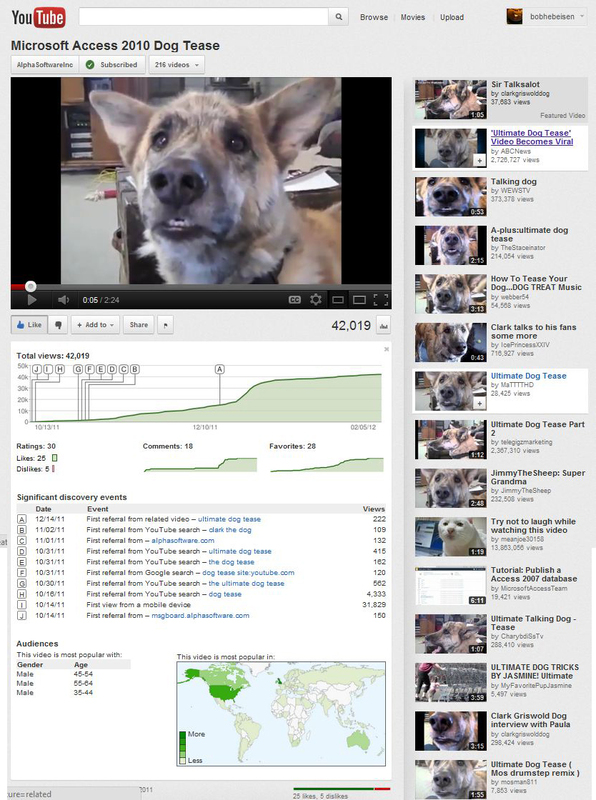 It’s actually kind of hilarious to see the thumbnail image of the dog in the search results. This entry was posted in Internet Meme, Meme, Video Marketing, Viral Video. Bookmark the permalink.